Kate distributed the M&M candies evenly between her and her friend. “You get 10 and I get 10,” she said. Her friend agreed and they proceeded to chow down on their little treat. Even Steven. All was great. It made me think about life. Life is never as fair as distributing candy evenly. In fact life is blatantly unfair. If I were to constantly measure my life compared to any of my family and/or friends, I guarantee you it would come out lopsided. Last night I was at a meeting at church and the priest said, “You cannot go around measuring your sins against others sins. That will only make you more depressed, or just the opposite, it will make you more prideful.” This talk arose because all of us in attendance have children that will be going through their first confession this January. It was important for all of us to realize our own sinfulness to teach our kids that confession is good to practice. It makes us more aware of our sinfulness and humbles us. This entire conversation got my brain moving. He was right. I do measure my sins against the sins of others. I cannot begin to tell you how many times I have thought, “Well, I am not like her. She is really sinful. I mean her life is a mess!” On the other hand, I go to confession and confess the same sins over and over. Why am I any better? As I examine my sinfulness, I always find the same things. Gossip. Inpatient with my kids and husband. Envious of others. Lazy about my prayer life. Tell white lies. Disrespectful to others. Actually, looking at the list, I don’t appear to be so sinless! The point of the priest was we need to measure ourselves and our actions to Jesus; not to others. OUCH! That’s not good. Measuring up to Jesus is a whole different ball game! He is perfect! It seems better to nit-pick at other’s lives than to look at my own life under the scrutiny of Jesus. No way! He is God in man’s image. Talk about unfair! How am I going to accomplish perfection? Comparing ourselves to friends and family is wrong on so many levels. After all our friends and family are human and they will let us down. God won’t. Humans will not necessarily ALWAYS be there for us. God will. Humans will lead us astray (sometimes). God keeps nudging us onto the path. Humans are imperfect. God is perfect. How do we accomplish perfection? Commandment #1 may help us here. Honor the Lord, Our God, above all else! If I make room for God daily in my life, I actually might find that I can cut out those repetitive sins one at a time. I am not saying they won’t reappear; they will. I will falter, but at least God helps me see them and recognize them as sinful. Just one step closer to perfection! When we measure against imperfect people, we seem a lot better than if we measure against Jesus. After adding God daily into our lives, we will not want to measure up against others. We will want and need to keep our eyes on the goal: to be like Jesus. So I am going to leave you with one last thought. Here is an example of the measuring up that I am talking about. As you may have read when I blogged about “Middle School in an Adult World,” I struggle with competition in athletic events. I try to remember that the goal is not to win. I try to remember that I shouldn’t be envious of the parents of the winners. I try to remember that there is SOOOO much more to athletics than being the best. With that being said, God used my daughter to teach me a very important lesson this week and I would like to share that with you. As I was busy measuring my happiness against what others SEEMED to be feeling, my daughter taught me what joy actually is. I thought I knew what happiness looked like based on other parents, but what I found is that measuring happiness that way, does not lead to joy. At Megan’s Cross Country meet on Wednesday, I went over to hug her after the race. As I headed to the finish area, I saw Megan standing at the finish line. Once she finished the race (exhausted, tired and probably feeling a little wobbly), she decided to turn around and congratulate every single runner in that race. Not just her team mates, but all racers to the very last one. Almost immediately, I felt a joy that I had never recognized before. I couldn’t stop smiling. I was so proud at this very moment. It was as if all of God’s joy flooded my soul at one time. Megan didn’t care about her time. She knew the importance of the race. It wasn’t the win; it was the accomplishment of finishing what you started. No matter how long it took people to finish; they deserved congratulations. I recognized my sin immediately. God used my 14 year old to give me a lesson. Measuring my own happiness by looking at what others have is dangerous. It is called envy. Measuring my life’s happiness by what Jesus sees as joy is perfect! I got a glimpse of that joy through Megan. I love it when God teaches me lessons in this manner! Measuring up will only let us see the human sinfulness. We will miss the God moments because we are so concentrated on the human flaws and what appears to be happiness. 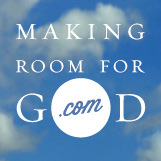 Make room for God today! This entry was posted in Faith, Family, God, Jesus, Religion, Uncategorized, Women and Christianity and tagged confession, examining ourselves, Faith, judging, looking inward, measuring our sins, white lies. Bookmark the permalink.